For the purposes of this article, series novels should be thought of as groupings of novels (and often short stories and novellas) set in the same "universe," usually with one or more core characters that carry over from one novel to the next. The plot line in a series may unfold directly from one novel to the next, or individual titles may stand alone in everything except shared background and characters. In the latter case, effort is presumably made to preserve continuity with other titles in the series in the sense that the reader shouldn't be told in one book that a main character is an only child, for example, and then read in another about the marriage of his older sister. Of course, errors do occur, and much time and effort is spent coming up with plausible explanations for these apparent inconsistencies - a process called retro-fitting. The officially sanctioned body of facts that governs a series is usually referred to as the "Canon" (or, alternatively, "the bible"), and Usenet fan groups are filled with sometimes savage discussions speculating on whether or not a particular character's actions or history are "in the Canon." "An adolescent boy with a rural background sets off to earn his livelihood in an urban setting. He triumphs over circumstances and temptation and starts advancing in his career. At some point, he will be betrayed or falsely accused by one of his peers. Ultimately, the hero will be vindicated. While pluck and hard work play a role in the success of an Alger hero, there is always an older male who takes on the hero as his protégé. That mentor plays a critical role in the success of the Alger hero. The Alger hero never takes revenge on those who mistreated him. He secures what is rightfully his, but he is never vindictive. Alger heroes never have romantic interests. As they leave adolescence, these heroes leave his books except to play the role of mentors for the new generation of Alger heroes." For more information, see Horatio Alger FAQ. The more than 100 books that Alger published cannot technically be considered series novels since there is no continuing plot or characters that link them together, though it could be argued that every Alger hero is in fact the same hero given a different name and a different profession (gold miner, rancher, telegraph boy, newspaper boy, etc). Alger's writing was so formulaic and stylized that one could say that he wrote the same book more than one hundred different times. For an examination of the characters and themes common to Alger's novels, take a look at the Archetypes and Themes section of the Novels of Horatio Alger, Jr. page, written by John A Geck and hosted by the University of Rochester. In many ways Alger's novels pre-figured the more commonly recognized series novels that began shortly after his death in 1899. Alger's heavy use of stock character types and plot elements, his prodigious output, and (in the last years of his life) the use of a ghost writer - all are hallmarks of the series books that the Stratemeyer Syndicate began producing at the turn of the century. These included the Famous Rover Boys (1899), the Ralph series and the Motor Boys (1906), as well as later series: the Bobbsey Twins, Tom Swift, the Hardy Boys and Nancy Drew. 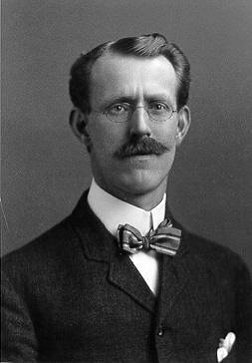 In fact, it is no coincidence that Horatio Alger, Jr., in failing health and losing his eyesight, chose as a ghostwriter for eleven unfinished manuscripts and story ideas a young man named Edward Stratemeyer. The Stratemeyer Syndicate applied a number of shrewd business practices to the writing and marketing of books. His development of the series concept would correspond to what we today call "branding" - the creation and promotion of an easily recognizable product that the customer identifies with and feels comfortable purchasing. At its height, the Syndicate employed numerous authors (invariably referred to as a "stable") to ghostwrite installments in various series under a number of different house names. Basically, Stratemeyer authors were hired to do piece work and were typically bound by contract from revealing or claiming any credit for any writing done under the Stratemeyer brand. The fact that each series featured a well-defined cast of main characters coupled with the formulaic nature of the writing not only contributed to the brand development, but it also meant that the next book in the series could be written quickly - and by any author in the stable who had the time. Much research has been done attempting to establish identities of actual writers working behind such house names as Franklin W. Dixon (the Hardy Boys), Victor Appleton (Tom Swift) and Carolyn Keene (Nancy Drew). Next month I'll look at more recent book series in the science fiction and fantasy fields - in particular those which offer good potential for collecting and reselling for profit.